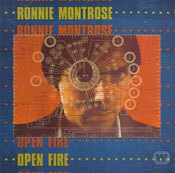 One of the challenges in ranking Ronnie Montrose’s catalog is that he really has four catalogs. There is his groundbreaking work with the seminal hard rock band bearing his last name. There are the eight very diverse solo instrumental albums he kicked off in 1978 with the dynamic fusion-oriented Open Fire and continued releasing through the ’80s and ’90s. 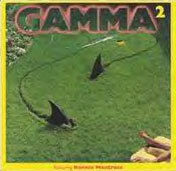 Don’t forget his stellar 1979-82 run with Gamma, a trail-blazing rock quintet with an electronic edge. And then—before and betwixt all of the above—there were his abundant appearances in a supporting role on albums by a diverse roster of notable artists including Van Morrison, Edgar Winter, Gary Wright, Tony Williams and many others. Montrose was a musical iconoclast who constantly resisted the efforts of labels, managers, and the media to pigeonhole his musical identity by jumping from r&b to blues rock to hard rock to jazz fusion to space rock and back around again. As if to put an exclamation point on that trajectory, his final full studio album (1999’s Bearings) was all acoustic. 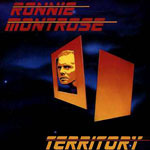 This column ranks all of the studio albums on which Montrose served as the bandleader, encompassing albums billed to Montrose, Gamma, and Ronnie Montrose. It’s an incredibly eclectic collection of music and ranking it is about as subjective an exercise as you can imagine. I would also stipulate that Ronnie Montrose never issued a “bad” album, just a series of very different ones, as his vivid musical imagination and unsurpassed skill with his instrument drove him to explore the endless possibilities. So while we’re sticking to the convention of “worst to best” in terms of titling this column, what you’re actually seeing here is one individual fan’s least favorite to most favorite album featuring Ronnie Montrose. In a catalog this diverse, your mileage will almost certainly vary. 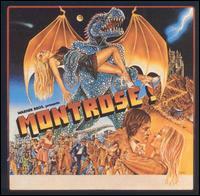 Although credited to Montrose the band, this album has nothing whatsoever to do with the 1973-76 group. Rather, Mean finds guitarist Montrose and Gamma bass player Glenn Letsch teaming up with Buster Brown vocalist Johnny Edwards (later of Foreigner) and drummer James Kottak (later of Scorpions) for an album’s worth of cold, sleek ’80s metal, highlighted by a song (“M For Machine”) created on spec for the RoboCop soundtrack. It’s a solid enough effort, just not a particularly appealing sound, and one that Montrose never showed interest in revisiting. File Gamma 4 under “seemed like a good idea at the time.” Ronnie and Gamma vocalist Davey Pattison always appeared to enjoy working together, taking every opportunity to do so in the years after Gamma dissolved, including this four-fifths reunion of the Gamma 2 and 3 lineups, with bassist Glenn Letsch and Gamma/Montrose drummer Denny Carmassi joining the fun. The missing element is keyboards; a major part of the band’s attack in 1979-1982, they’re relegated to the background here, and the songs, while serviceable enough blues-rock, rarely approach the fire and imagination that once propelled this group into the stratosphere. The ominously-named Mutatis Mutandis felt like a truer sequel to The Speed Of Sound than The Diva Station, delivering a hard-hitting, imaginative all-instrumental workout. Montrose wails memorably on cuts like “Mutatis Mutandis,” “Zero Tolerance,” and the very pretty “The Nomad,” while “synthesist” Gary Hull adds texture and dimension to numbers like “Mercury” and the dreamy, semi-acoustic “Velox.” The other players are pretty anonymous and the album loses energy in its final third, but Mutatis remains a solid showcase for the many moods of Mr. Montrose. Warner Brothers Presents and its sequel Jump On It traded immediately memorable founding lead vocalist Sammy Hagar for the eminently forgettable Bob James, even as the group expanded its sonic palette by adding keyboardist Jim Alcivar (later of Gamma). 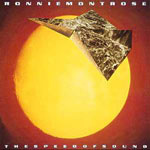 This first outing with the new lineup is a study in contrasts, with heavy numbers like the Deep Purple-influenced “Matriarch” and “Black Train” balanced by lighter, more pop-flavored tracks like “All I Need” and the old-school party-rock number “Twenty Flight Rock.” Ironically, the one real standout is Ronnie’s solo track “One And A Half,” a trilling, gorgeous acoustic piece. 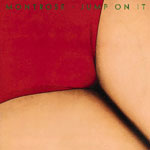 The best of the non-Hagar Montrose albums, Jump On It was produced by Jack Douglas of Aerosmith fame and features a pair of punchy “go for it” anthems in “Let’s Go” and the title track. The former features Montrose firing slide-guitar rockets into the air, while “Jump On It” blazes straight ahead, adding experimental elements like vocoder and a wild, trebly solo to the mix. The one instrumental, the atmospheric, fusion-y “Tuft-Sedge,” presages Open Fire in a big way. Unfortunately, the drop-off in quality after those three highlights is substantial. Again defying expectations (the man had a knack for it), following 1994’s Music From Here, Montrose embarked on a two-year project composing and recording music for the video game Mr. Bones. 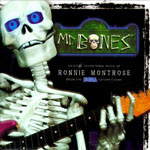 The game producer’s intention was to have the title character Mr. Bones play mostly swampy Southern blues guitar, but in due course that became just one of several musical guises that Bones and his alter ego Ronnie Montrose inhabited. This album features several expansive mood pieces interspersed with evocative numbers like the searing “Manifesto,” the rollicking slide boogie-number “Bones Is Bones,” the emphatic acoustic workout “The Village,” and the genuinely swampy acoustic-slide showcase “By The Way,” complete with crickets in the background. Plus, of course, spectacular tone from start to finish. 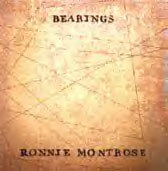 Montrose’s final studio album Bearings was also his first all-acoustic outing, and the variety of tones and moods he achieves on these 14 tracks is remarkable. Opener “All Aboard” delivers immediate returns with a full-on, propulsive jam featuring acoustic guitar, mandolin, acoustic bass and exotic percussion. Deeper in, he throws in touches of jazz (the bridge to “Three Wishes”), classical (“Morning” and “Solid Ground”) and Open Fire-style fusion (“Lunarization” and “She’s Watching”). Cut loose from any guitar-hero expectations, Montrose is set free to concentrate instead on tone and feel and resonance, with results that often sparkle on these cinematic, emotionally charged tracks. Montrose’s end-of-the-decade return to a band setting—and hard rock—after the solo detour represented by Open Fire would not be a simple re-creation of Montrose, despite the presence of longtime bandmates Alan Fitzgerald (bass) and Jim Alcivar (keys). Instead, the addition of sandy-throated Scotsman Davey Pattison on lead vocals was coupled with an increasingly exploratory bent that embraced inventive use of synthesizers and greater focus on both melody and virtuosity. The results included heavy, catchy anthems like “Thunder And Lightning” and “I’m Alive,” both punctuated by exotic electronic accents and extended, dynamic Montrose solos. The atmospheric instrumental “Solar Heat” similarly complements the furious rocker “Ready For Action.” If the rest of the album—and Ken Scott’s production—had matched up to these four tunes, this one would have ranked higher. 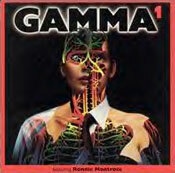 This was Ronnie Montrose’s favorite Gamma album, and it’s easy to understand why. Taking the production reins himself, Montrose added the futuristic tones of young synth whiz Mitchell Froom to the mix and delivered a super-clean-and-crisp sounding record that takes the band's futuristic edge to its logical extreme. 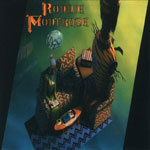 While Montrose's guitar work and Pattison’s vocals are always prominent, Froom dominates the album with an arsenal of exotic electronic effects. 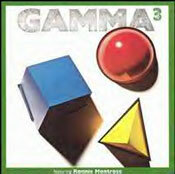 High points include “What’s Gone Is Gone,” a driving track with startling synth textures and dynamic guitar work, and “Condition Yellow,” an evocative instrumental featuring a chorus of eerie, otherworldly synth tones blown wide open by a laser-beam of a solo from Montrose. Beyond those high points, the tracklist was more uneven, with AOR / pop-metal tracks like “Modern Girl” feeling out of place next to edgier fare like “No Way Out,” not to mention the occasional lyrical misfire (“Moving Violation,” “Mobile Devotion”). "[T]his album, which had been intended as a return to the hard rock form by one of its original leading figures, has been transformed into a final tribute from a group of musical peers who loved and respected Ronnie and his inimitable style. 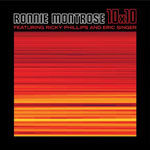 In that sense, the album is never less than a total success; in a career marked by a constant evolution of style and musical approach, 10x10 will stand the test of time as among Ronnie Montrose’s strongest work." With contributions from the likes of Sammy Hagar, Edgar Winter, Davey Pattison, Glenn Hughes, Gregg Rolie, Steve Lukather, Brad Whitford, Dave Meniketti, Rick Derringer and Marc Bonilla, atop basic tracks cut by Montrose with Ricky Phillips (bass, co-producer) and Eric Singer (drums). As a follow-up to the band's landmark 1973 debut, Paper Money is a firm statement of artistic independence. 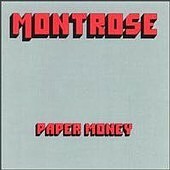 Where Montrose remains rightly famous for its unrelenting eight-song hard rock assault, Paper Money is all over the map. Opening with the blatantly poppy “Underground” and the mostly acoustic Rolling Stones cover “Connection” was bound to raise a few eyebrows, as was Ronnie’s decision to take the lead vocal on the somber ballad “We’re Going Home.” The fiery instrumental “Starliner” at least offered a preview of musical avenues to come for solo artist Montrose. More in line with expectations for this quartet were the thundering title track and the smoldering sci-fi number “Spaceage Sacrifice,” not to mention the blistering rocker “I Got The Fire,” still one of the best tunes anyone involved has ever been a part of, three minutes of surging, propulsive electric guitar built around a complex, brilliant central riff and culminating in a force ten hurricane of a solo. Music From Here might be the only RM instrumental album that feels like it was made by a band, with bassist Craig McFarland and drummer Michele Graybeal making their presence felt throughout this pure power-trio release in terms of both musicianship and composition. While forceful rockers like “Mr. Walker” and “Primary Function” rank among Montrose’s most memorable solo work, “Life After Life” and especially “Indigo Spheres” give equal, welcome attention to McFarland’s heavy, intricate bass work. Even quieter tunes like “Road To Reason” and “Fear Not” feel like they take Montrose’s solo catalog to the next level, showcasing unique tones and memorable melodies in tight, tasteful arrangements. At the time, this felt like the instrumental guitar album that some portion of Montrose’s early-days fan base had been anticipating for 15 years, a stripped-down, no-nonsense, balls-to-the-wall, Ronnie-and-a-rhythm-section shred-fest. Of course, it was 1988, so there’s a bit of an ’80s sheen to the production, and Montrose doesn’t shed his quirks entirely, but for the most part, this album focuses on high-velocity numbers like “Mach 1,” “Sidewinder,” and “Windshear” interspersed with slower-tempoed but no less passionate workouts like “Black Box” and “Zero G.” What The Speed Of Sound occasionally lacks in subtlety, it makes up for with intensity, not to mention killer tone from start to finish. Powered by one dynamite riff after another, Gamma 2 flat-out rocks. With Montrose drummer Denny Carmassi reinstalled behind the kit and the rest of the band primed and ready, the chemistry of this lineup is evident from the very start. 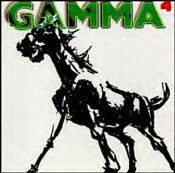 It’s worth noting that the first four tracks of 2 are presented in the same configuration on the Best of Gamma collection, for good reason: “Mean Streak,” “Four Horseman,” “Dirty City,” and “Voyager” are four of the strongest tracks Gamma ever recorded, featuring propulsive riffs, rich synth textures, and urgent Davey Pattison vocals. The latter track—a personal favorite of Ronnie’s—is a melodic tale of loneliness and salvation that culminates in one of the most impassioned solos of his career, a steady-building sunburst of notes and phrases and astonishingly nimble runs. 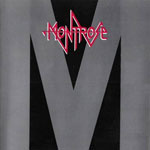 The second half of the album is nearly as strong, building toward closer “Mayday,” a powerhouse number with another driving chorus, more unique synth effects and—of course—stupendous fretwork from Montrose. 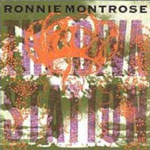 The worst thing I can say about Ronnie Montrose's moody, inventive solo debut is that it's too damn short. At just under 36 minutes, Open Fire invariably leaves me wanting more. In a move that was bold even by Montrose standards, the godfather of American hard rock opened his 1978 solo debut with an orchestral piece that seamlessly segues into the heavy-fusion title track. Moments later, the stunning “Mandolinia” contrasts cascading mandolins and mandocellos with a swirling, pulsating bass synthesizer, with occasional, precise guitar fills occupying the middle ground. 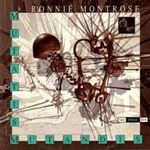 Montrose’s dynamic cover of “Town Without Pity” is the one track here that received any airplay, and it’s a beauty, horn section powering along underneath as Ronnie wrings every bit of drama out of each sweeping note of his solos. The second half of the album features a pair of terrific fusion pieces followed by a pair of gorgeous acoustic numbers, before the shifting, startling minor opus “No Beginning/No End” arrives to close out one of the truly memorable instrumental albums in rock history. 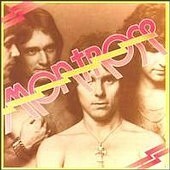 Montrose is a classic, essentially the point of origin for American hard rock. The ingredients are simple—massively thundering herds of guitar from maestro Ronnie Montrose, plus clumsy but sincere explications of adolescent fervor and angst from Sammy Hagar, times career-making performances by the rhythm section of Bill Church (bass) and Denny Carmassi (drums) equals pure musical magic. Pounding rockers like “Rock The Nation,” “Bad Motor Scooter” and “Make It Last” provide a raw, clear vision of embracing life and reaching for your dreams—preferably while ripping out a few choice air guitar riffs. In between, the band rides a monster riff into the stratosphere on “Space Station #5,” rocks out like Chuck Berry with his hair on fire on the adrenalized Elvis cover “Good Rockin’ Tonight,” and caps it off with the immortal “Rock Candy,” five minutes and seventeen seconds of thumping, grinding greatness, one of the transcendent hard rock performances of all time. (Have you ever heard a concert crowd sing along not just to an entire lyric, but to every note of the guitar solo? It’s a beautiful thing.) This album is filled with some of the fist-pumpingest, lighter-snappingest party-heartiest guitar rock ever recorded, and for me personally, it's also a link of memory to places and friends and moments I'll carry with me forever. Rock and roll doesn't get much better than that.